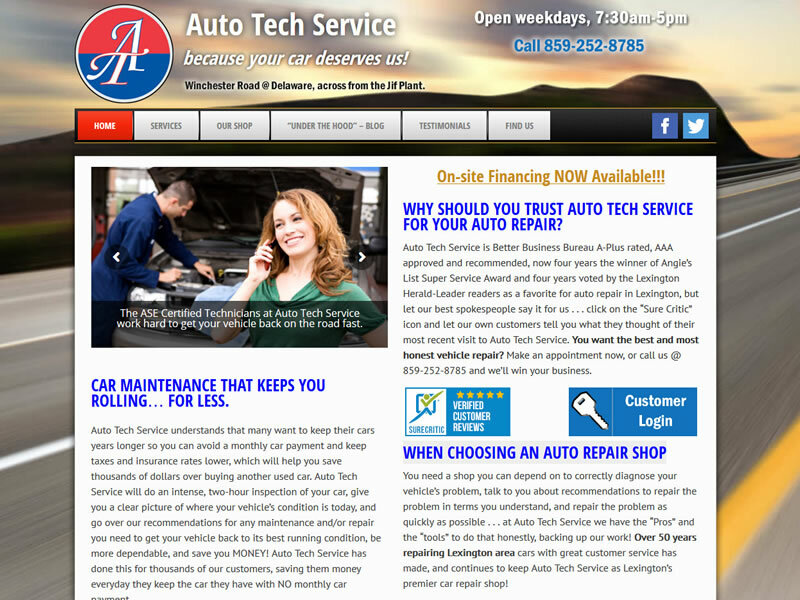 Greenthumb Marketing needed a site for their client Auto Tech Service in Lexington. We designed a custom template for them and set them up on Joomla so they could manage their own content. Since the initial project, we’ve taken Auto Tech on as a client. We’ve rebuilt their website in a more updated design and have been doing maintenance for them ever since.